THE NEW BRITAIN PARKS AND RECREATION COMMISSION MEETING HELD TODAY. The commission passed the Costco Matter that was before them tonight. GLEANINGS FROM NEW BRITAIN COUNCIL AND COMMISSION MEETINGS; FINANCE BOARD, 9/26 AND COMMON COUNCIL, 9/28. Some of the same people that have attended many Council meetings to voice their opposition to the Costco proposal were present presenting their same arguments. These are tired arguments that show little other than the intransigence of some folks, arguments that show that these folks are more interested in their feelings than they are in the COMMON GOOD of the overwhelming majority of NB citizens. Suddenly, many of these folks have been transformed from their former “professions” to the point where they are now barristers. Others act like chameleons, changing their coats to fit whatever argument is their latest. Over inflated egos trump common sense and the common good. – “raided” - by various administrations; this led to him have to propose the now famous $106M Pension Bond. What he didn’t mention was the years long neglect of various administrations not contributing to the Pensions. Also, since he was first elected Mayor that Pension fund was used three times, twice by his administration. Once again the same opponents came to voice their tired arguments against Costco. Some of them came with arguments “du jour”, the ones they create when their others are proven to be unworthy. These new arguments come from those whose professions have changed, e.g., one has morphed from being a draftsman to, golf course architect, building engineer and now, real estate appraiser. Yet another has become a legal expert, another has become an EPA consultant, traffic engineer and aesthetic consultants. There are other interesting changes, too numerous to mention. In all cases, inaccurate and non-credible claims/statements are made. Some are prevarications. It has become difficult to know just what are the arguments. I guess these folks just throw some things up against a wall to see which ones stick. Frank Smith, Independent Blog Owner. The New Britain common council approved the local 818 Supervisor's union contract agreement and also they have approved local 992 Fire Union contract agreement late this evening at 9:30 P.M.
" For 8 long years, delay and obstruction has been the mantra of New Britain Council Democrats. Mayor Stewart has had to fight tooth and nail for every major effort he has initiated for economic recovery in town. The Costco proposal is no different. This is a municipal election year so, motivated and emboldened by the personal and negative missions of a tiny fraction of New Britain residents and the selfish ambitions of a few non-resident CCSU professors the obstruction goes on. Rumors are rampant that a couple of Council Dems who are notorious for their obstructionist tactics, have been trying to get Newington to block the proposal. Never mind that the City could gain $Millions in operating funds for its Parks, close to $.5 Million in tax revenue and hundreds of jobs, some Council Dems are willing to sacrifice this for petty, partisan politics. The Herald says, "Speaking on behalf of Costco, Joseph M. Montesano, real estate consultant for the super-store, has at times expressed strong dismay at the lack of movement on the proposal. “This project has gotten a huge amount of media attention. I’ve received five proposals from bordering communities by virtue of this delay. A lot of good prospects are coming out of the woodwork,” he told Common Council members. A vote on the store by the full council, ... could occur as early as Oct. 12. We urge the public to support council action for this plan, which should satisfy the stated objections of most of the community, and to encourage this opportunity to bring a substantial new taxpayer and good jobs to the city. In these lean economic times, we can ill afford to turn our backs on growth. Nor should we drag our feet in making a final decision. We could lose a critical step in the city’s redevelopment unless we understand that, truly, time is money." Excellent advice for all involved! 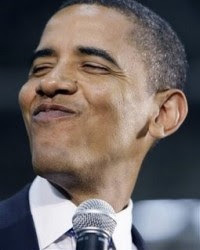 The Re-Election of Obama by suspended elections? Is Obama Constitutionally Qualified to Serve As Our President, Or Is He a Fraud? Does anyone know how to cancel a bid on E-Bay? NEW BRITAIN FINANCE COMMITTEE MOVES ON WITH THE COSTCO ISSUE! With the usual naysayers saying their piece, of familiar dialog, the committee took on the issue with a respective review. Committee member Sally Eigenraam was quite frank when announcing that she had opposed this proposal from the very beginning but did approach this issue leaving her personal feelings behind with her contacting, not only neighbors of this proposed project, but people throughout the city stating that she recognized that the city can no longer say no to the much needed tax revenue and that she must leave her personal feeling aside for the betterment of the city. She is planning to run for the city's common council and she is just the right type of person that city needs as a city councilor because of her placing her personal feelings aside and doing what is right for our city. Chairman Mercier, a candidate for the Board of Education, stated that the new monies the city would realize could save teachers jobs and not close our city pools. Mr. Mercier is a school teacher in another city but will be a great asset to our school board if elected. The committee voted unanimously by passing the motion that was before them. Sadly, President Obama signed on with other nations. Last Monday brought more bad economic news for Connecticut. Sikorsky Aircraft will eliminate 419 jobs in Stratford and Shelton beginning this fall. Worldwide, the helicopter manufacturer — part of United Technologies Corp., whose Pratt & Whitney subsidiary closed an engine-repair plant in Cheshire and Connecticut Airfoil Repair Operation in East Hartford last year — will cut 567 positions, so Connecticut will take the brunt of the latest round of job losses. Sikorsky and Pratt are old-line Connecticut employers, paying blue-collar workers well to perform industrial work requiring a high level of technical skill. But these companies are a dying breed in a state whose population increasingly relies on government work and service-sector jobs. 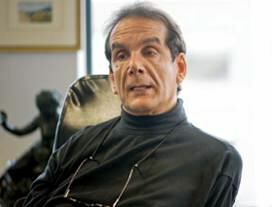 "In 2000, Connecticut had one of the lowest unemployment rates in the country, just 2.1 percent in October, compared to a national rate of 4 percent," said 24/7 Wall St., a Web service that carries financial news and opinion. The site recently listed Connecticut as No. 10 on the list of states where blue-collar jobs are disappearing. "Since then, unemployment has risen to 9.1 percent. ... More than 90,000 blue-collar jobs were lost in the state during that time." UTC has shown remarkable compassion for its employees, having found jobs for all the Cheshire and East Hartford workers who wanted to stay with the company, and promising buyout provisions for Sikorsky workers contemplating retirement. But that doesn't change the fact this reduction reflects an abrupt 20 percent retreat by Sikorsky, which had grown in Connecticut by about 2,000 workers over the last 10 years. Moreover, Sikorsky faces the expiration of its lucrative Black Hawk helicopter contract with the Department of Defense next year. Last week there was a Republican primary election in New Britain’s Ward 4. Judging from the turnout it was one of the better-kept secrets in the City. During the previous two weeks we either visited or made calls to more than 300 households in Ward 4 to get out the vote and seek support for the primary. Many of the Republican voters we talked to did not even know about the primary, let alone who was running. Some thought we were calling about the Democratic Mayoral primary and hung up before we could explain who we were. We thank the voters who came out to support us. We also thank challenger Rick Guinness for getting our campaigns moving several weeks before we would have otherwise begun. Though we won the primary election we were surprised and disappointed at the low turnout. Our platform calls for more community involvement in City affairs. One of the most basic ways to participate is voting in municipal elections. Just because there are no national or state-wide offices in an election does not mean that voters should stay home on Election Day. You can’t complain about elected City officials if you don’t vote! Too many local issues are framed in early meetings with very little public participation. Months later when these items come before the Common Council and are published in the media, some of our citizens are unhappy with the plans presented. This happens over and over. The time for your input is early in the planning process, before the plans solidify. Don’t let a handful of people influence all the decisions. Get involved early and make your views known. Regardless of your party preference, get out and vote on November 8th. You owe it to yourselves and to our City. Malloy is forcing unions for the child care industry which will add to the working parents cost. The day care centers will have to raise their rates in order to stay in business and dads and moms will bear the added cost. BRISTOLTODAY.COM: Could Bristol wind up in the 5th? Ct. 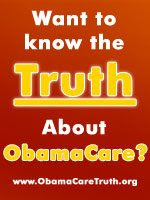 Health-care is controlled by Obama and our Lt Governor. What will Whitman bring to HP? Wednesday, September 28, 2011: Common Council resolution on purchase and sale agreement with Costco. 7:00 pm Council Chambers, 2nd floor. Resolution will be referred to the Council’s Committee on Planning, Zoning and Housing for a public hearing. Thursday, September 29, 2011: Parks and Recreation Commission, 6:00 pm in Room 201. Tuesday, October 4, 2011: Council Planning, Zoning and Housing Committee Public Hearing. 7:00 pm Council Chambers, 2nd floor. Wednesday, October 12, 2011 (tentative pending PZH Committee action): Common Council vote on purchase and sale agreement. 7:00 pm Council Chambers, 2nd floor. MATTABASSETT DISTRICT REQUEST FOR BIDDERS FOR ITS 100 MILLION EXPANDSION. Wright-Pierce that design the upgrades which was ordered by the state DEP Department some ten years ago was asked to prepare the bid process for selection of the construction contractor by the Board. This necessary bonding for this project, will add cost to the districts users fees, whether or not Middletown obtains admission approval to join the district. Could It Be Happening? Are the Negative Signs Building to a Crescendo? 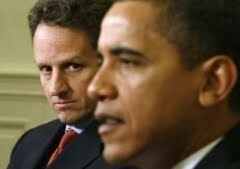 Obama may pull out of the presidential race. HAMAS AND THE PAKESTNIAN AUTHORITY ARE JOINTLY SEEKING ADMISSION TO THE UNITED NATIONS. Malloy and his liberal legislature members got their way or did they? It’s interesting to read the comments of Mayoral and Common Council candidates running for office in the November Municipal election especially the candidates for Mayor. Most candidates talk about: “we must create jobs or we must encourage job growth in New Britain” and “work to lower taxes.” The readers should and must be careful to check the records of candidates with regard to their actions on these issues especially the veteran politicos that have a record of voting on the issues. A couple of issues have dominated the local “news” for the past five months that to me are important when discussing ‘”jobs”, taxes and economic growth for New Britain. The issues are, the now dead Aquinas renovation proposal and the yet to be decided COSTCO/SGC proposal. In both issues a handful of opponents have dominated the issues using arguments that play right into the delay and obstruction tactics of Council Democrats. These tactics are not about Democratic rectitude but rather about hoping to block anything positive proposed by a Republican Mayor. Since the Aquinas proposal has been defeated, I’ll concentrate on the COSTCO proposal. COSTCO opponents, in my opinion have presented personally selfish arguments, especially those of two CCSU professors that are non-residents. Their arguments have nothing to do with jobs, the economy or taxes but rather, holding on to their own jobs at CCSU. So much for rectitude! If the delays continue, COSTCO will walk; gone will be about $4 M in revenue, $4.75K in annual taxes and other fees. As I have said before, there will always be questions; the COSTCO project will never be perfect. The sad thing is that the common good for the 71 K people of New Britain will be sacrificed for the false rectitude of a handful of residents and SOME ethically corrupt members of the majority political party of New Britain. Mayoral candidate O’Brien’s claims what he will do if elected. In newspapers articles he has stated that he would lower the property taxes a job that was done very well by mayor Stewart in spite of the opposition he faced by the Democratic minions on the council. He would correct the blighted properties issue an action he attempted to do, while he serving as a city Alderman, which had to be corrected by the Stewart administration during it’s term in office. Improving educational quality if elected. While he was a state representative he and Rep. Geragosian did very little for New Britain’s needs for education. Even to the point that Geragosian admitted to the CPOA'S membership that other cities had more problems that New Britain when assessing funding for cities. He opposed the sale of Saint Thomas Aquinas and the Costco deal and now he has reversed his position on these two issues in his statement that appeared in the city Journal this past weekend. Mr. Obrien appears to be running against Mayor Stewart who happens to be retiring from office. "You remember the Reagan era, when Ronald Reagan was President, and Bob Hope and Johnny Cash were still with us? Well, now we have Obama, no hope, and no cash." FORMER MAYOR LUCIAN PAWLAK'S INDEPENDENT RUN FOR MAYOR! I was completely astounded, while at a local restaurant with friends, when Lucian appeared to announce that he is running for Mayor because he needs a "job." This is the most ludicrous reason for a Mayoral campaign I ever heard of. His track record when he was Mayor was raising the taxes through the roof for the city's taxpayers. I recall joking about the old vehicle, that I was driving at the time, the tax bill was doubled by his administration. By his own admission that he needs a "job" gives the voters a good reason for not voting for him. 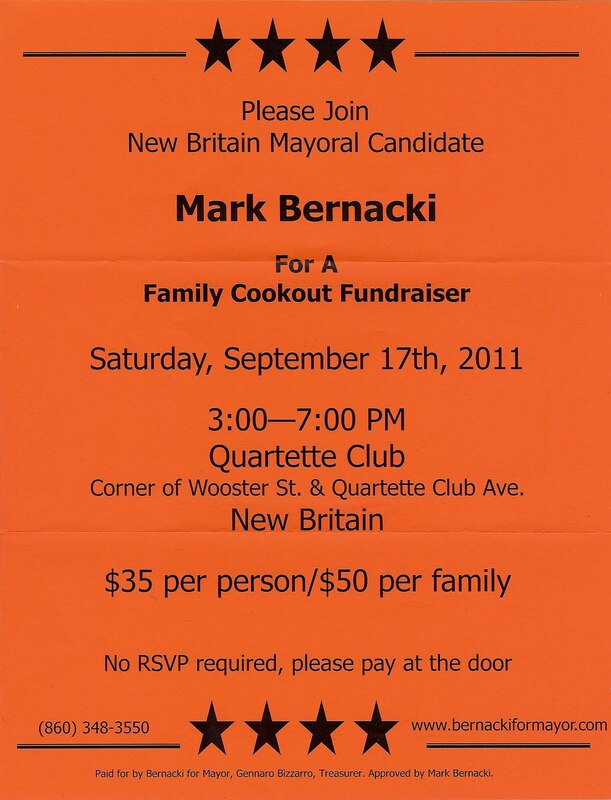 Secondly, rumors have it that he has told voters to not support Mark Bernacki "because he is not qualified." His MBA degree doesn't matter? Well Lucian, wasn't he qualified when he supported your whims when he was your President Pro-Tempore on the council? I personally helped Lucian with his two campaigns for Mayor with his losing the first to Linda and I strongly urge his dropping out this ludicrous fringe he is going through by ending his current campaign. “Day of Rage” Obama re-election team in disguise? REPRESENTATIVE TIMOTHY O'BRIEN'S HISTORY OF PICKETING! 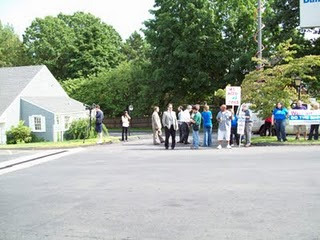 an Petronella, Attorney General Richard Blumenthal with more than 20 blue-shirted protestors from the Working Families? That account forced Wal-Mart to move out of New Britain. In today's New Britain Herald it is reported that O'Brien joined the Brittany Farms workers Protest by grabbing a union sign and walking along with the strikers. Does it mean that history repeats itself with Brittany Farms Health Center moving out of New Britain? 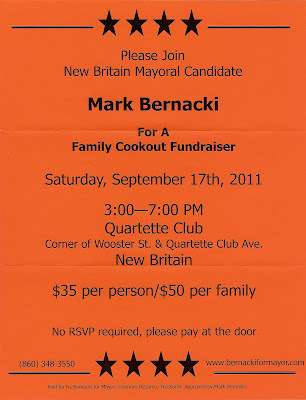 It is a disgusting move by a mayoral candidate for New Britain! Q. What's the difference between Obamacare and a car battery? A. The car battery has a positive side. THE COSCO PLAN "B" ZONE CHANGE REQUEST WAS PASSED BY THE NEW BRITAIN CITY COUNCIL BY ALL THE ALDERPERSONS TONIGHT. The ENDORSED REPUBLICAN CANDIDATES IN THE FOURTH DISTRICT WON THEIR PRIMARY BID AGAINST their REPUBLICAN CHALENGER RICK GUINNESS. Americans in poverty jumped 15.1% in 2010 making it a 27 year high also representing that 1 in 6 Americans are in poverty. That makes it a total 46.2 million people for that year. 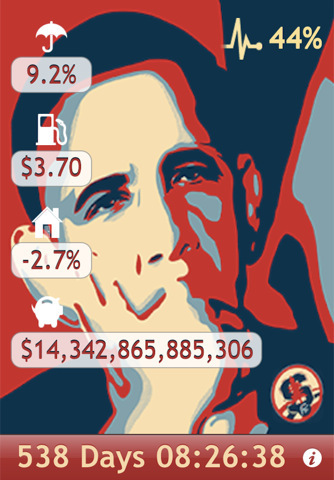 OBAMA WANTS 447 BILLION DOLLARS FOR JOBS CREATION. House Speaker John Boehner said " it would be fare to say this tax increase on job creators is the kind of proposal both parties have opposed in the past." It's hard to believe that its been ten years since the attacks of 9-11. We have all grown a bit older, a little wiser, but I believe that we all still feel that there is some kind of unfinished business here. As much as we like to say that we have all moved on, that we have let it go, some how I can't, and I know that some how you can't either. Maybe its our proximity to New York City and to Washington DC, maybe its because that you may have known someone who perished that day. Whatever the reason, whenever we see movies, documentaries, images of the day, a photograph, we are moved in a very profound way. So today, we pause and reflect on that terrible day. Our minds travel back to a different time, the economy was roaring, American exceptionalism was unchallenged throughout the world, and we were content with the lives that we built. Then, a flash of light, an explosion, and our world was turned upside down. We remember the heroes of the day, the little acts of courage and compassion that Americans are so good at. We remember the first responders and their incredible sense of duty and their bravery in their response to the World Trade Center and the Pentagon, and we know that they gave all, and then just a little bit more. The sense of community that our country experienced after the attacks was inspiring. Regardless of where you stand on the political spectrum, you have to recognize that we have work to do in America. 9-11 should serve to focus us and we should use this event to rededicate ourselves to what is right in this great land of ours, and fixing what is wrong. America is, and will always be a great place. The place where dreams can still come true. The place where random acts of kindness still happen. Let's not forget that. Maybe we will always feel this way. I don't necessarily think that's such a bad thing. It gives us a mission, a purpose if you will, to address the challenges of the new world. So today, take a moment to remember and reflect on the lives lost on 9-11, the public servants who gave everything that day and the victims at the World Trade Center, the Pentagon and in the planes. Then take a moment to reflect on how special this place called the United States of America is. God bless you, and may God bless our America. GREAT NEWS REGARDING THE MOSQUE AT GROUND ZERO!!! The lower Manhattan Development Corporation has recently denied federal funding for the ground zero park 51 Mosque. If you see any of these men please contact the New Britain Police at860-826-3065. CITY WORKERS TO LOSE JOBS. With an estimated 35 workers that are accepting early retirement packages which is not sufficient to end the budget hole that the city is in according to city hall source. It will be necessary for at least 12 or more city worker to face a job lay off in order to reduce this budget gap our mayor faces. What city services that will be cut due to the layoffs the Mayor has not elaborated which of these services will be selected. He left a sucide note to the joint session of Congress. Tuesday's Democratic Primary for Mayor Alderman Catanzaro Vs. Rep. Tim O'Brien. O'Brien has made too many false claims citing that he is for tax reform but voted to reduce property tax reduction. Also voted for the increase to the Ct. sales tax on clothing and food that hurting the very poor he claims that he is helping. Claimed to be an advocate for job creation----And was quoted in a local newspaper that he opposes the Costco Store which would bring the city new taxable income and much needed jobs. These two proposals would have enhanced the financial condition for our city. Let's Give Paul a chance by letting Big Bertha know that she is backing the wrong candidate. In today's New Britain Herald cites that 10 Alderman will vote for the zone change however, the paper reported that Mayor Pro Tempore Michael Trueworthy is leaning towards the zone change but still has questions. More research to do---questions on the legality of the Alex Stanley deed restrictions that applies to both the park and the golf course. There are thousands of details in the agreement that we don't have the answers to yet. Well Michael You have lost my vote. I have attended both Costco informational meetings and found them very straight forward in what they had to offer and it seems strange that the Herald reports that ten of your colleagues are for the zone change requested by Costco. But you still have questions. I am glad you are running at large so that my vote against you will count along with others that are for the Costco plan "B" arrangement that will bring the much needed income to our city. Ct. Commissioner of the DAS, Donald DeFronzo, screws up with Denise Nappier's State Vehicle Registration. tford Police didn't accept her six digit private un-noticeable plate so she offered to show the state Official plate number 4 in the Truck to the police. They took the keys of the car and told her get transportation back to her residence because the area is unsafe. The question is not if the police acted properly during the fray but this matter points out to the lack of the State Commissioner's control over his department with his not seeing to it that all proper registrations are afforded to all the state vehicles. Sadly, this caused our state treasurer having to walk three miles in order to get home from her friend's house where the police encounter occurred. Medicare fraud pays for Cuban spy activities against U.S.
Amazing the Obama Administration is allow this to happen. A RECENT MAILING FROM ALDERMAN PAUL CATANZARO, Makes CLAIMS! Paul supports " Strong economic development will grow the grand list and increase revenues without raising property tax rates." Yes Paul are you attempting buffalo the voters for their having short memories? Didn't you vote against the Saint Thomas Aquinas proposal that would have brought in income to the city? And again didn't you vote for more information, regarding the Costco proposal, along with you Democratic Comrades after you publicly stated that you would support the pan "B" version? Get your story straight so the voters can vote for you in the upcoming primary! An informed source at city hall reported that the Alderman Trueworthy and his Democratic minions will block an increase for the police station bonding at the next council meeting. Allegedly, after Tim O'Brien becomes Mayor, they would then approve this proposed increase request for the project. 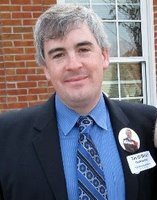 Trueworthy's reward would be to be the heir apparent to O'Brien's vacated legislature seat. 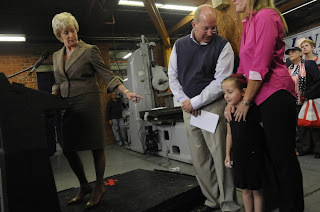 We all can recall that Phil Sherwood thought he would be rewarded with Representative Geragosian's seat, too. This puzzling scenario is a result of Michael's recent meeting with a city official with whom he indicated of the Democrats plan, which was never reported to the mayor's office subsequently, by this official. My city hall source further indicates that Alderman Trueworthy will be certainly be surprised when he learns that he will not get a free ride to O'Brien's legislative seat because someone else has "HER" eye on it. None other than Sharon Beloin -Saavedra. That is also is scary; except Sharon speaks "coherently." IN TODAY'S NEW BRITAIN HERALD EVA MAGNUSZEWSKI CITES HER reasons of the NON-SUPPORT FOR THE SAINT THOMAS AQUINAS SCHOOL SALE. She stated that she is a graduate of the school and was for the proposal but changed her mind from calls and emails she received. Could it be this change was caused by the Friendship Center's desire to take over this property in order to provide apartments for the homeless in our city? Also, it’s the Democratic plan to deny the Stewart administration to get a sale of this property thus preventing adding a taxable property to the city's tax rolls. It is assumed, by the Democratic leadership, that this property is best suited for a homeless shelter and will provide the city with no new tax income but will add the maintenance cost of the structure to the city's taxpayers. I am sure that since this neighborhood residents opposed the sale proposal they will not be happy to be sharing their area with druggies. Joining The Mattabassett District is one issue for the voters of Middletown to decide. 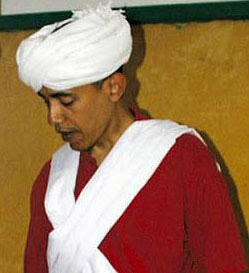 Is Obama’s Remaining Popularity Due to Political Correctness Masquerading as Civil Religion? 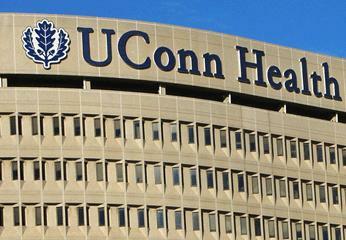 OBAMA EXCLUDES HARTFORD COUNTY FOR DIASTER AID. It is amazing when you consider that this county has more liberals per capita then other areas. These liberals voted for him to be their president during the last election. it's no wonder the recent polls indicate that many of these liberals are dissatisfied with his administration unemployment record and are leaving his re-election support. Liberals---Wake up---Your Messiah is doing nothing for you. iPhone Releases Countdown Clock To The End of The Most Devestating Predisency America Has Ever Known! The iPhone Countdown clock counts down to the end of the most destructive presidency America has ever known, and also highlights the record unemployment, high gas prices, plummeting housing values, and record debt of more than $14 trillion dollars thanks to his reckless and out of control spending! In fact the only good thing that can be said about the Obama Presidency is that his term is quickly coming to the end! Click the headline above to find out how to order this valuable tool from Apple and you too can track the end of this disastrous administration and look forward to the day when America can once again celebrate prosperity! Obama Regime steals the identity of We the People! Attorney Paul Zagorsky is a member of the NB City Plan Commission. Mr. Zagorsky is apparently opposed to the COSTCO proposal. Zagorsky maintains that his lawyerly interpretation of the Stanley Deed regarding Stanley’s gift to the City of land on which the Stanley Golf Course is located is being violated by the City if the COSTCO proposal is approved. Of course, Mr. Zagorsky feels that his interpretation is the only correct version. Zagorsky has been to at least three Council meetings that I have attended spewing the same stuff about the “DEED” each time. Apparently he feels that City Attorneys are all wrong. In today’s Herald (8/1/11) Zagorsky decides it’s time to try something else, to wit, take pot shots at Alderman Salvio. Anyone that reads the Herald knows that Salvio is a frequent contributor to the “Readers Forum.” It is also apparent that Zagorsky has a lot of time on his hands since he decided to dissect Salvio’s letters and put his own spin on Salvio’s verbiage. Zagorsky objects to Salvio’s language in describing some of the comments made by opponents to the COSTCO proposal at Council meetings. Council members have the same rights and freedoms that all others enjoy. Comment to Mr. Zagorsky about the Stanley “gift.” The Deed has been violated numerous times: the land on which Leona Lane sits – a couple of opponents live there – and the land that houses the Fairway Apartments on Hartford Rd. along with other pieces – Target sits on part of it – were part of the original tract deeded by Stanley. You may not like Salvio’s words but they are correct.